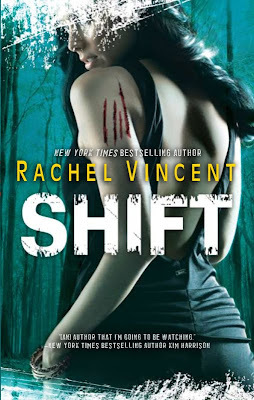 Rachel Vincent unveiled the cover for Shift in her newsletter yesterday. Shift is book 5 in the Shifters series and is due for release on March 1, 2010. A nice addition to a great set of covers for the series. Rachel talks about the making of the covers on her blog here. And if you haven't signed up for her newsletter you can do it here where you will also be able to read the blurb for the book. Michelle after the last book I am on the edge of my seat waiting for the next book.